Staff at Experian are bracing themselves for a fresh bombardment of awesome Spacehive projects with tens of thousands up for grabs at the next funding round. Have you got a project that could transform your area for the better? Upload it and start fundraising before the 30th of September for the chance to net a juicy thermometer-swelling pledge! 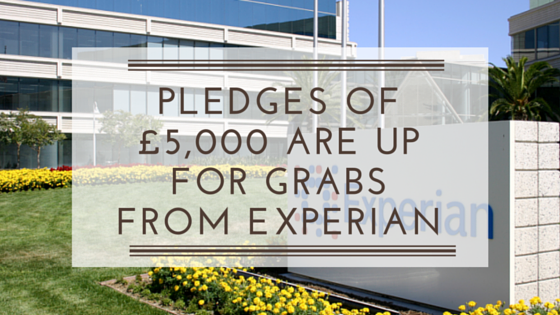 An amazing mix of projects have already hit their targets on the back of generous pledging by Experian and MOST that apply DO get awarded pledges – so upload yours now. 1. Got a great neighbourhood-boosting idea? Upload your project now and start fundraising before September 30th! 3. Fill out Experian’s simple application form here. Tell them why you’re passionate about your project and the impact it will make on your community. Need some inspiration? Have a look at some of our previous match funding successes below! 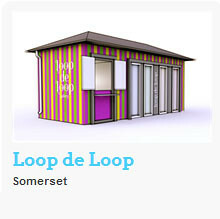 Katy Duke’s colourful project to transform an old toilet block in Frome, Somerset, into a micro gallery and community cafe reached their crowdfunding goal of over £10,000 with a boost of £2,500 from Experian. With locals such as Grand Designs presenter Kevin McCloud and almost 100 other funders opening their wallets for the cause, the gallery is due to open soon! Take a look at the transformation here. An empty shop in High Wycombe is being turned into a start-up incubator for young entrepreneurs after netting a £5,000 pledge from Experian. Locals chipped in too – as did firms like Tesco, John Lewis, and the Government, propelling them to their funding goal of £50,000! Got any questions? Email info@spacehive.com and we’ll get back to you!